J.R.R. 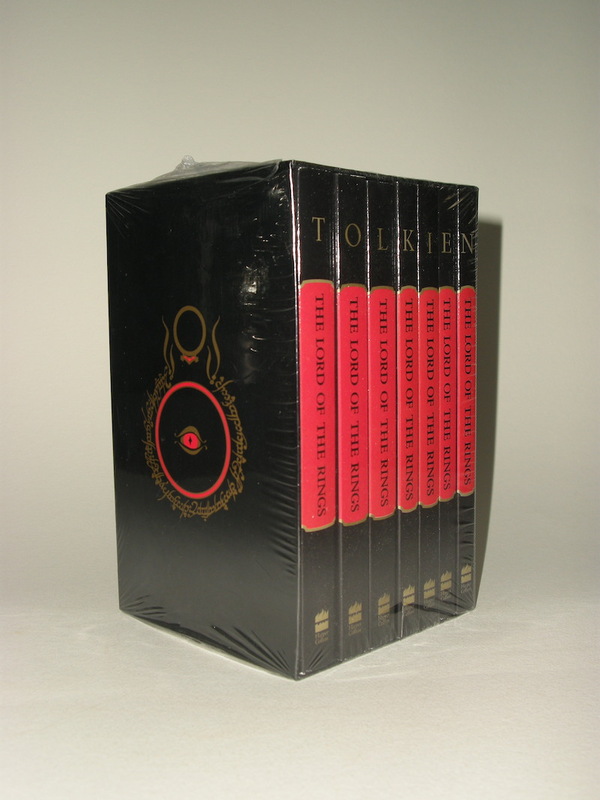 Tolkien, The Lord of the Rings, 7 volume HarperCollins paperback set. 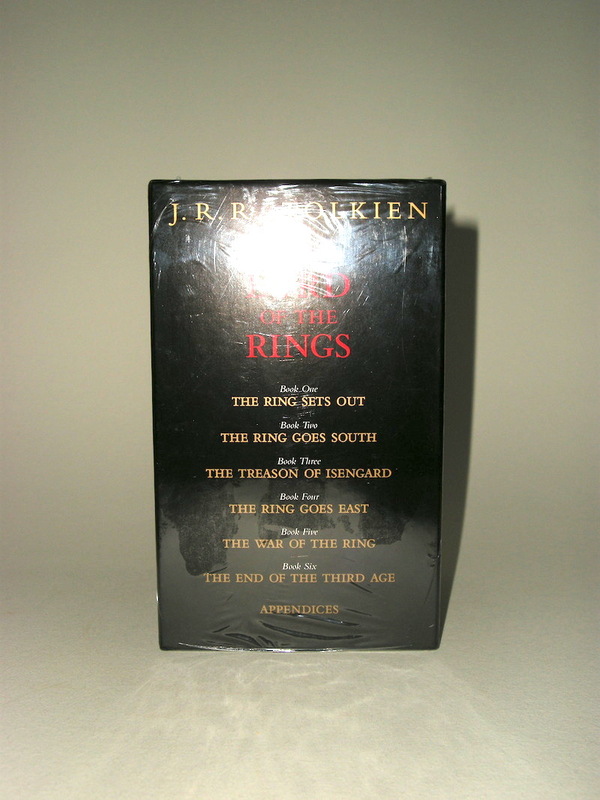 Issued in 2000, after the hardback edition had gone out of print. Not reprinted. ISBN 0 00 710500 2. Paperbacks. Issued in a slipcase. 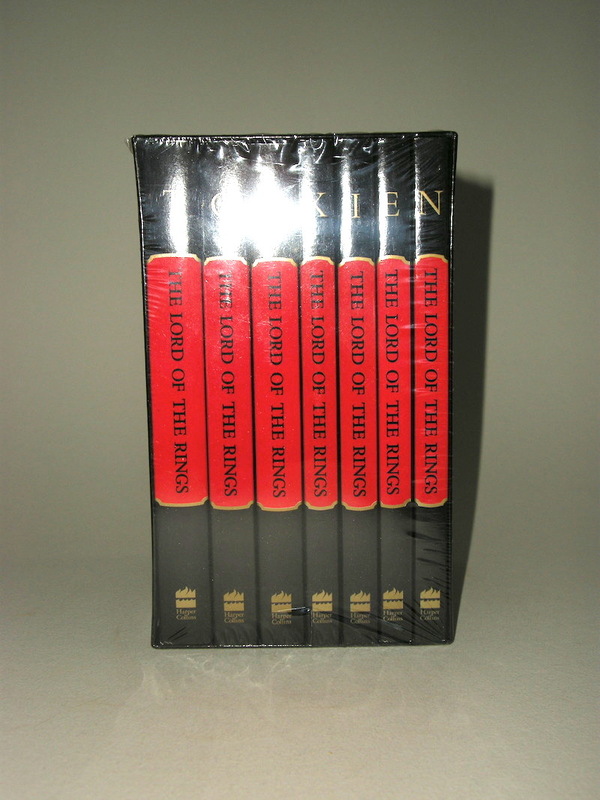 Covers and slipcase art based on artwork by J.R.R. Tolkien. The map showing A Part of The Shire appears on page 25 of Volume 1. It was redrawn by Stephen Raw in 1994. The map of The West of Middle-earth at the End of the Third Age and the Map of Gondor, Rohan and Mordor appear spread over the final pages of Volume 7. The maps were also redrawn by Stephen Raw in 1994. 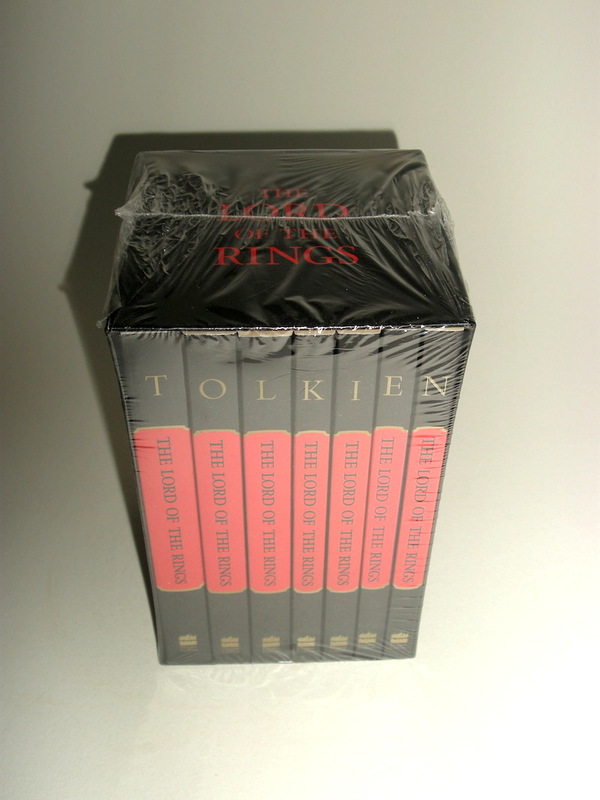 These paperbacks are in unread new condition, still in original publishers shrinkwrap. 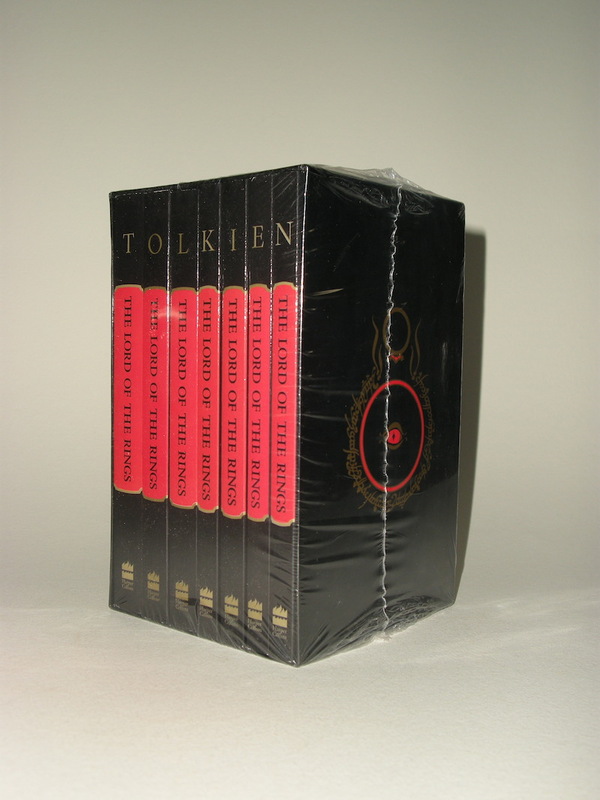 A nice set with 7 paperbacks of The lord of the Rings by J.R.R. Tolkien.